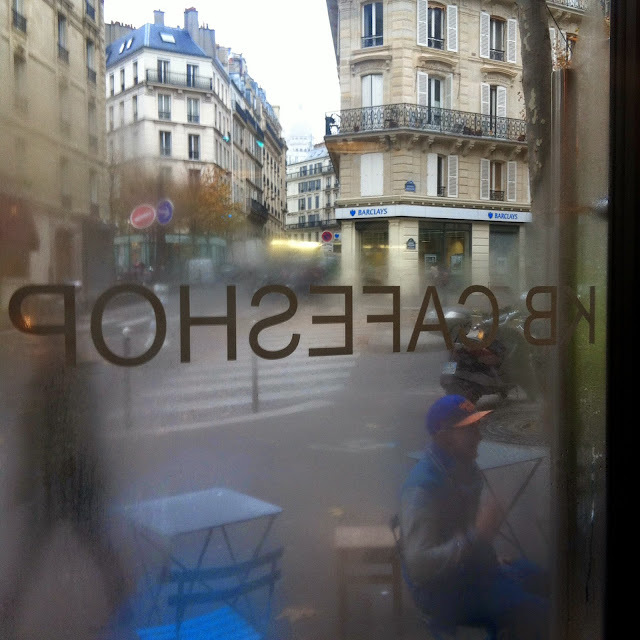 My Love for Paris: What is with the coffee in Paris...? in arrondissements a little further out. Most of the time I ended up suggesting hot chocolate instead as that's something Paris does much better. When I first moved to Paris a few years ago, I remember my girlfriend and I were at a café in Bastille. We sat down and the waiter came out with the menu. Casually glancing down, we unexpectedly discovered the price of a cappuccino - 7.90€. Our eyes widened and we stared blankly at each other, it was like a Bananas in Pyjamas B1 B2 moment. Was this a typo? It wasn't as though we were somewhere touristy like the Champs Elysées or at a fancy hotel or tea salon where the 'experience of being there' was incorporated into the price. It was your typical Parisian café. Having just moved to Paris, neither of us had yet found employment and 7.90€ was the equivalent to $12 Australian dollars. Ie, just a little steep for a coffee really. Too embarrassed to make up an excuse to leave the café, we decided to do the next best thing, discreetly make a run for it before the waiter came back to take our order. Smooth Nhan. Very smooth. We were the most mature 30 year olds you could find in Paris. Hands down. 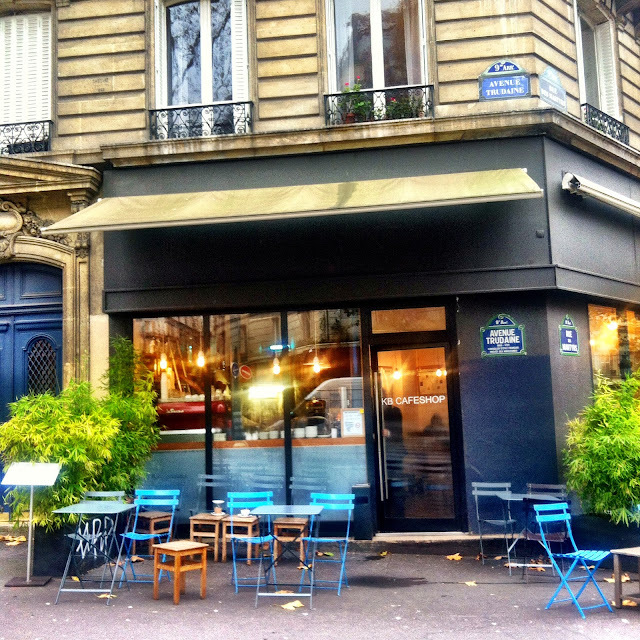 Continuing on our coffee journey around Paris, we noticed that the general standard wasn't that great, and definitely not enough to justify the prices charged. So why is it that so many cafés in Paris can get away with serving really mediocre coffee at often fairly exorbitant prices? I'm not talking about the old style Parisian bistros where you can stand at the counter and order a basic espresso or noisette with some coins. I'm talking about sit down cafés, in a mixture of touristy and less touristy places where you start having to pay with a note. My theory is that firstly there's a different coffee culture in France. Frenchies don't seem to be as demanding of their coffee. If it were bread or cheese I imagine there would be some sort of protest and then later a French law established to protect the consumer. But coffee, meh. In any case, Parisians seemed to order little espressos and noisettes anyway. Secondly, there's less incentive. 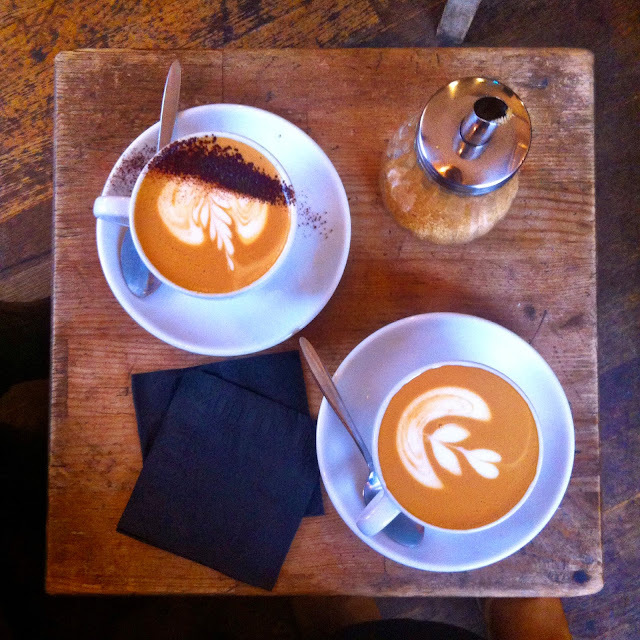 When you have 33.2 million tourists passing through Paris every year and a large proportion of your local clientele order espressos or noisettes, there's less demand to perfect your cappuccinos, lattes, flat whites, mochas etc. You serve an average cappuccino, make 7.90€, the customer doesn't rate it highly and never comes back. Well, in all honesty they were never going to come back anyway, they were on holidays. NEXT. Other reasons that came to mind? 5. They don't have the time nor patience to leave and find a better priced cappuccino. Lastly, maybe it's a case of not knowing any better. For example, in Australia, coffee is taken very seriously as there exists a relatively high standard of barista made coffee. I'm from Adelaide and years back when I was at university, I remember Starbucks and its green mermaid logo coming to our city. 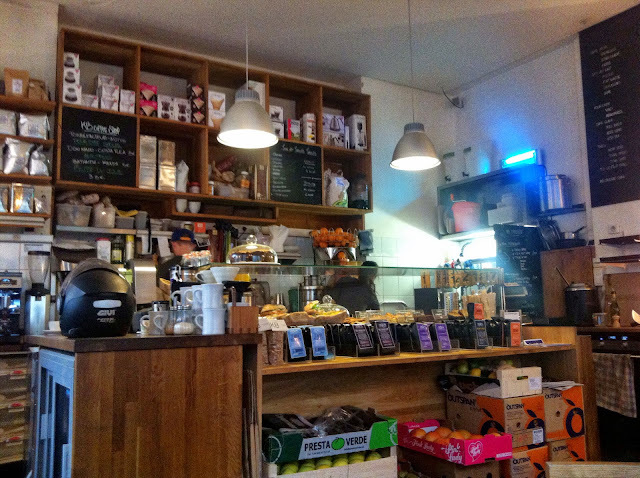 It set up shop, then eventually closed down and left because it couldn't compete in our coffee market. Now that's saying something. Now for the record, I'm not a coffee expert/connoisseur. I'm not even a regular drinker of coffee, I'm a "social coffee drinker", like a social smoker. I very occasionally drink it on my own, never on the go and pretty much always with someone. I don't drink it for a caffeine hit nor to wake me up in the morning, I drink it because I like its aroma and taste, especially with a slice of cake and some good conversation. Yet despite my lack of experience and knowledge in this complex world of coffee, I can still taste the difference between a good coffee and an average one. If it's not done well, I would rather go without. I'd have a tea, a green tea. Or even some boiled hot water. I don't know if this makes me more of a coffee snob or just someone who doesn't really know what they're talking about. What I do know is that ever since moving to Paris, I have missed what I can't have and I'm constantly on the lookout for decent coffee at a reasonable price. KB Caféshop (formerly Kooka Boora) is one of these places. It feels a little Melbourne, a little hipster (think crates of carrots sitting to the side), and has a relaxed laid back vibe. No one is plonking your bill down at your table before you've finished your drink. The only pressure to leave is if you see people lining up looking for a table. Could I be subconsciously describing an Australian café..? Funny that, as it turns out that French owner Nicolas Piégay worked as a barista in Sydney in 2007 before opening up this café in 2010, inspired by Australia's coffee culture. Yesterday, I trekked up into the 9th arrondissement, got off at Pigalle before power walking my way through 4 degree Parisian Winter weather. The fogged up windows greeted me like a mirage in the desert. Needless to say my body happily started to defrost once I was inside - ahh it's always nice being able to feel your fingers again. Is anyone else thinking "Titanic"..? Against the wall were a selection of "sandwiches" (which aren't really sandwiches but baguettes with fillings, which I suppose is a 'French sandwich'), cakes and juice making machines. On the blackboard was the formule: a choice of sandwich, a 'sweet' choice and a freshly pressed juice for 12€. Not a bad deal considering individually they can cost up to 17€. Click here for a copy of their menu and prices. Across from the wall, people with their laptops are sat on communal benches and tables, some looking out onto the street. We ordered two soups and two coffees (soup of the day was 6€, flat white was 3.50€) and set up camp for the next three hours. The exceptional service we unexpectedly received an hour into our catch up was from the barista working at that time. We had originally forgotten to ask for our coffees to be brought out a little later after we'd finished our soups. By the time we remembered to ask, the coffees had already been made so we said not to worry about it. A while later, our nice barista noticed that our coffees had gone cold and told us he would replace them with new ones. I was so moved I decided to write this blog post straight away, despite the backlog of blog posts sitting in my drafts folder, all giving me the evil eye. To the super sympa barista working on Monday 1st of December at around noon, thank you for going to that extra effort, we really appreciated it..! Glad you found the post entertaining - it's a bit hit and miss in Paris with coffee, but I suppose nobody's perfect and Paris already does so many things incredibly well! Thanks Stephanie! And you make a great point linking colonisation with bean sourcing. I hadn't thought of it in that way before but it makes so much sense. Now here's my next question - what's with the UHT milk? Although admittedly the UHT milk range is always ten times as big as the fresh milk range (if you can find it that is). PS I've heard good things about Café Lomi but have actually never been. Will definitely give it a try with your recommendation, are there others you've tried and tested? when i was paris i visited this place and drink coffee. It has good coffee doesn't it! Did you have any other favourite places to recommend?